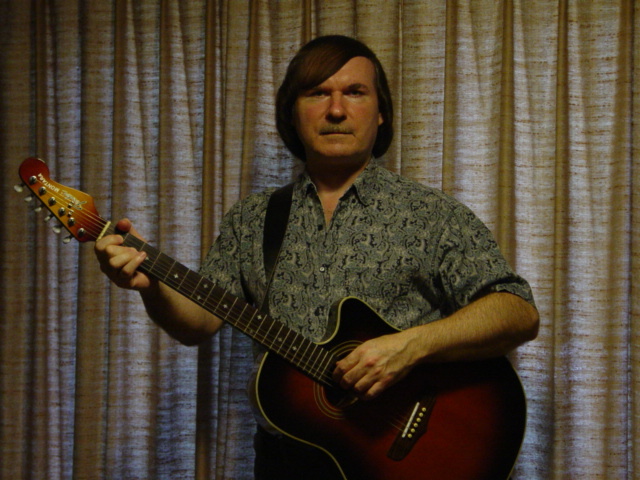 Jim Sowder is a solo musician based in Northern Virginia. Available for nightclubs, private parties or any festive occasion. Performances are a mixture of Jim singing with just an acoustic guitar and Jim singing to a full band accompaniment. Thanks to new technology, all instruments and all vocals that you hear performed live or on the Online Demo CD are done by Jim Sowder. Visit me at www.JimSowder.com ! Jim also performs in the rock band P.U.R.E.. If you are interested in going to the P.U.R.E. website, go to www.thePUREband.com ! My Song Of The Month was recorded live and is not on my demo. For details such as name of song, artist, etc., go to www.JimSowder.com !